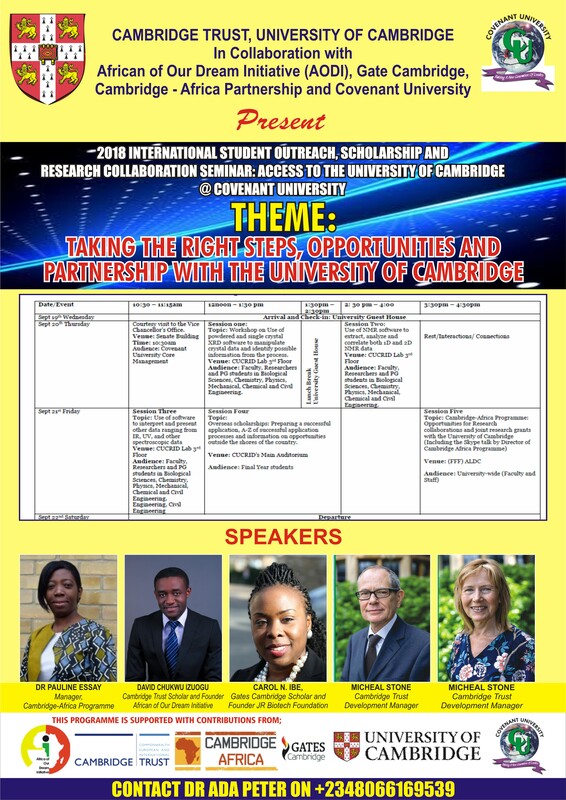 Africa of Our Dream Initiative (AODI), Cambridge Trust, University of Cambridge, Cambridge-Africa and Covenant University partner on Scholarship opportunities and research collaborations bridging the divide of two worlds apart. 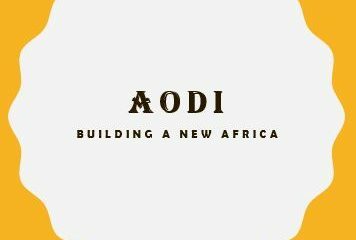 If you are interested in having such a programme at your institution in Africa, please contact AODI using the contact link. If you are a university outside Africa and needs partners or wants to hold outreaches anywhere in Africa, we will help you find the right partners as well as with the organisation. 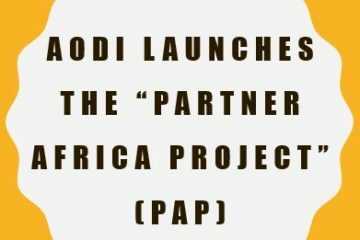 Tell us who and how you would like to link up with Africa and we will help bridge the gap.